A tribute to a different film director each year. 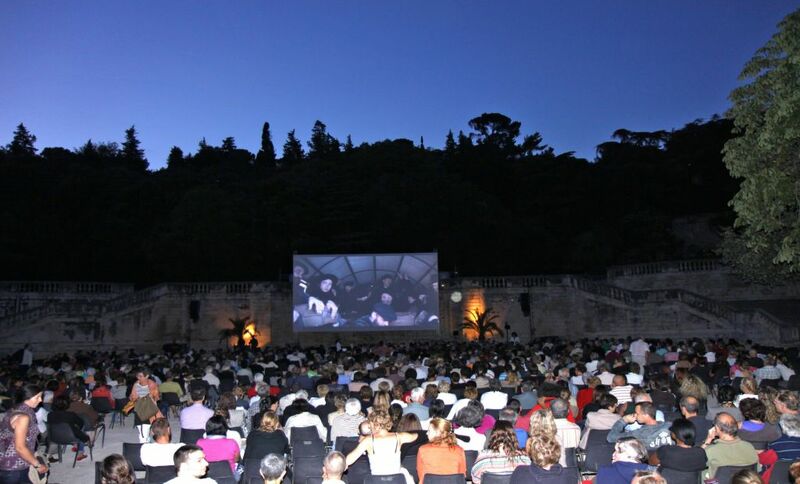 Films are shown on a giant outdoor screen in the magical atmosphere of Jardins de la Fontaine. The last editions featured Hugh Hudson (2007), Claude Miller (2008), Jean- Paul Rappeneau (2009), Jean Becker (2010), Bertrand Tavernier (2011), Claude Lelouch (2012), JeanPierreMocky (2013), Fabien Onteniente (2014), Patrice Leconte (2015), Danielle Thompson (2016), Thomas Gilou (2017), Philippe Le Guay (2018).